Park City Commons will quickly become a destination of choice to live, work and play. Park City Commons is a 23 acre mixed-use development project by EdgeCorp Developments Ltd. located at 849 Ravelston/1500 Plessis Road in Winnipeg, Manitoba. A former brownfield site used as a City of Winnipeg Public Works Yard, the site is being redeveloped in the context of the “OurWinnipeg” development plan and will be transformed into a high-density, mixed-use, transit-oriented development with a new public library and proposed multi-use recreational facility. No other similar development exists in the suburbs of Winnipeg, Park City Commons will be an environment that contains fully-integrated accessible living within a community where residents can live, shop, and obtain everyday services, augmented by easy access to transit service to access all areas of the City of Winnipeg. Retail units include a grocery store and commercial retail spaces some of which contain residential apartments directly above to provide greater access to amenities and allow for more effective construction costs. EdgeCorp’s experience with the challenges in meeting the demand for this type of housing was the early genesis for the vision to create a mixed-use development that meets not only the needs of those who can afford to pay market rents but also those who cannot because of income constraints and/or disabilities. 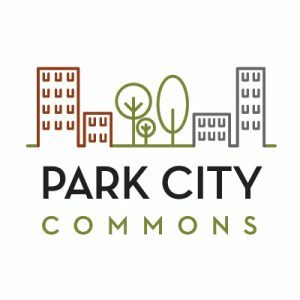 Park City Commons will be an integrated community that provides affordable and accessible housing options to residents and convenient access to services on a daily basis. The guiding principle for this development is to create a living environment that addresses affordability, accessibility, inclusiveness, and community-building by providing users a comfortable, sustainable lifestyle. Surrounded by one of Winnipeg’s fastest growing communities, Park City Commons is an exciting new mixed-use development located between new and established households in the city’s northeast. The development will be anchored by a brand new grocery store with retail and apartment buildings designed with modern architectural features that will engage residents and visitors as they flock to Park City Commons for a wide array of amenities – a trip to the grocery store, a stop at a restaurant on the way home from work, a visit to the doctor, a meeting at a bank, a stop at the library for weekend reading, or a quick workout at the recreation center. Park City Commons offers an ideal setting for a growing community to access a host of services and amenities. New and upgraded infrastructure (Plessis Road and underpass, Transcona Boulevard east-west connector, transit and ring road extensions) position Park City Commons as a new crossroads in the northeast, while providing convenient access to apartments, shopping, and amenities. When complete, this uniquely designed suburban mixed-use development will contain in excess of 100,000 square feet of commercial space that is directly adjacent to 900 apartment-style multi-family units.